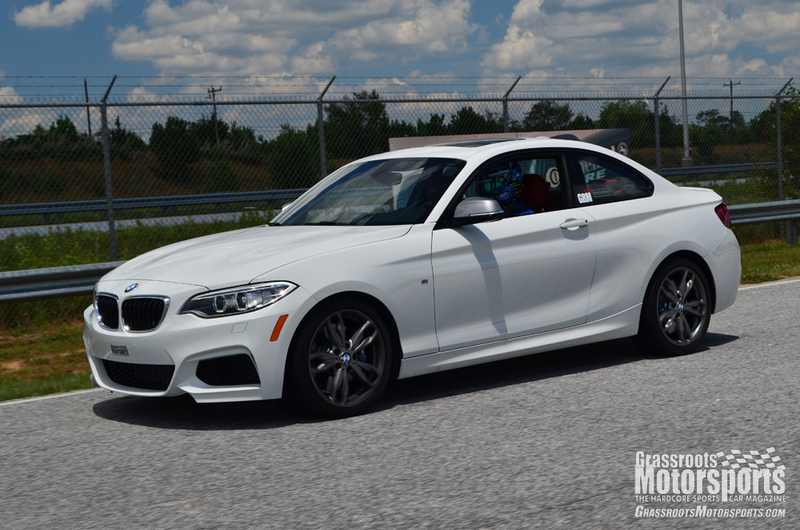 The new M235i: Yes, it's an awesome track car. Meet James Clay. You've probably seen him wearing that helmet on TV. By the end of the day, our tires were nearly ruined. 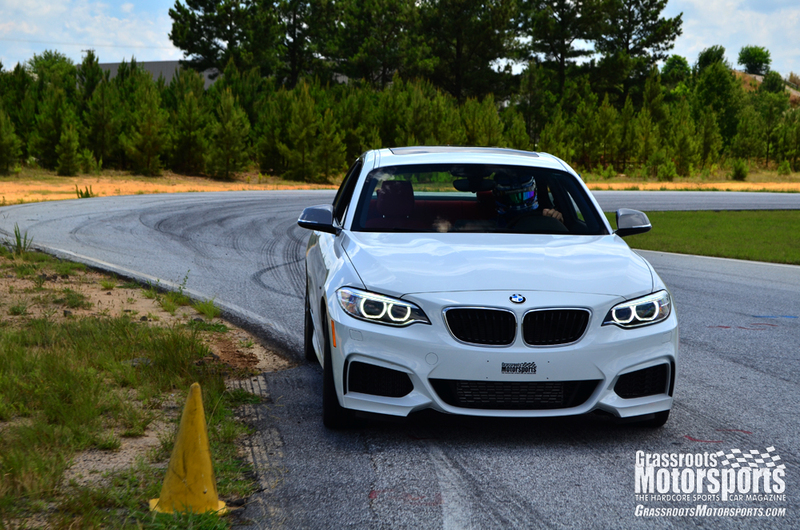 We played with tire pressures and driving techniques until our BMW had rounded the track as quickly as it could. 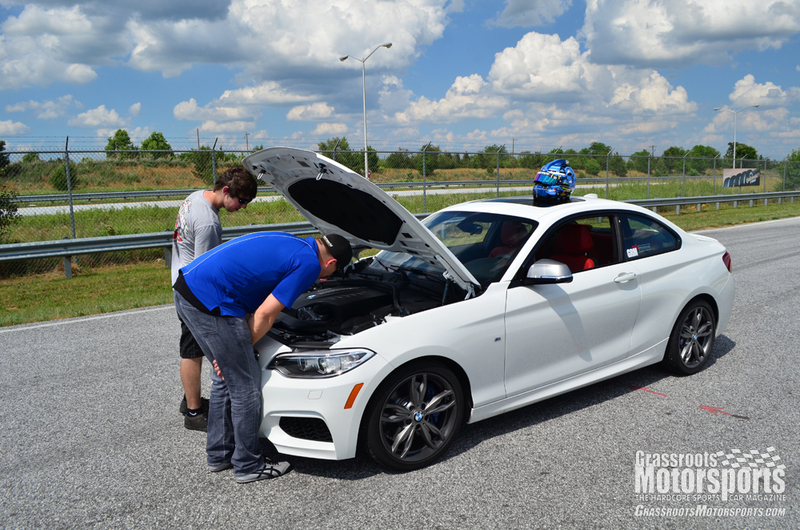 James hadn't spent much time with the M235i, so we popped open the hood and planned our attack. The goal? Make it faster, of course. Most buyers would be kind of mad if their brand-new car was delivered to them with 1000 miles on it. But not us. 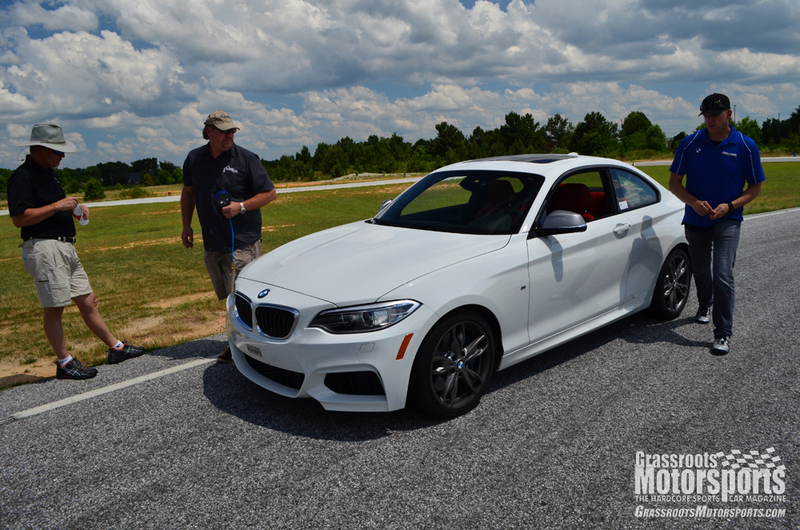 Before taking delivery of our BMW M235i at the company’s Performance Center, we asked that it be broken in. We skipped the afternoon plant tour and instead went back out on track–this time with our own car, not the demo machine. Why? Because we wanted to see how it really drove, free from instructors and digital nannies. 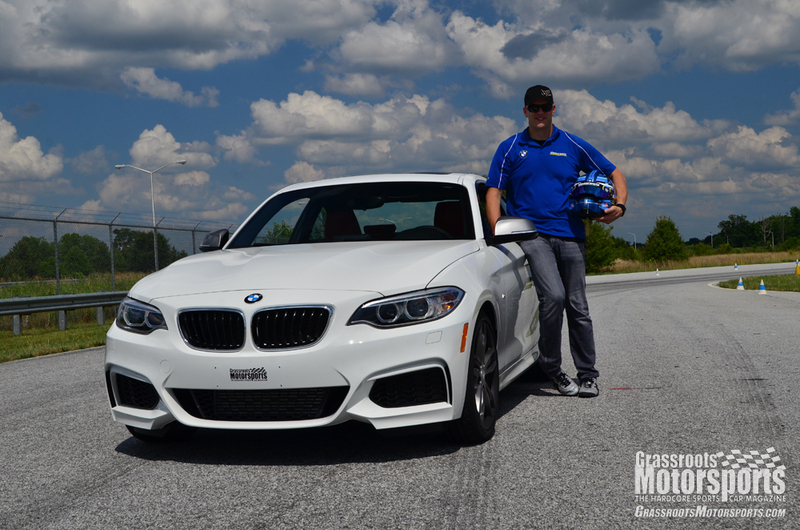 We even invited James Clay, professional driver and owner of BimmerWorld. He’s just the person to evaluate a car. So how does our car drive at the ragged edge? Very well. At this point, our biggest complaint is the lack of a limited-slip differential. We’ll have to fix that. How does an M car not come with a limited slip? It's got an electronic one, which basically means the rear brakes grab the spinning wheel. The system works well on the street, but it can't cope with track use. Oil cooler, without one the car is a grande without a pin.